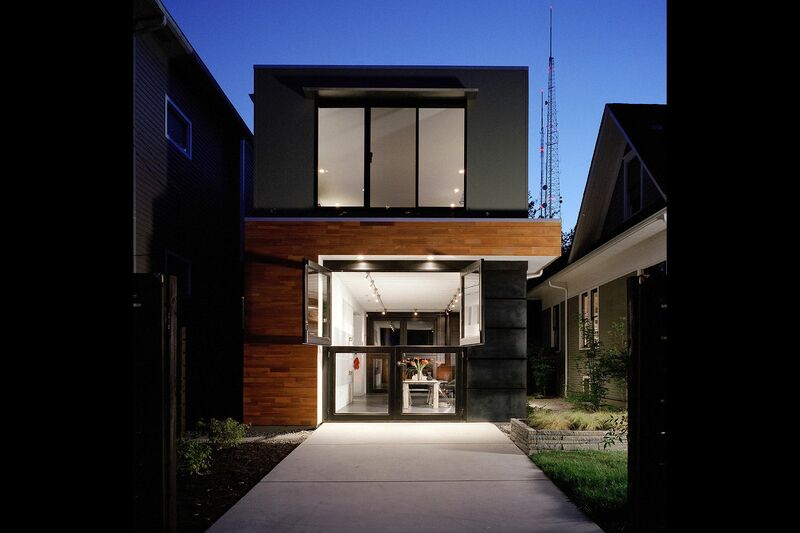 A new 1000 SF detached studio adjacent to an existing residence is built as a hybrid building that can serve as a garage, studio, and backyard cottage. Photo by Ben Benschneider, copyright by The Seattle Times. Materials such as polycarbonate, steel plate, and concrete are used inside and out. 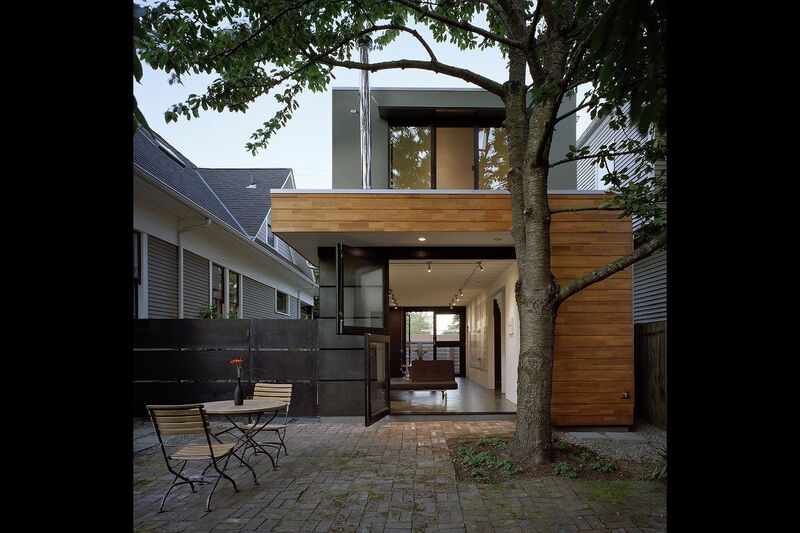 Double dutch steel doors open to the landscape. 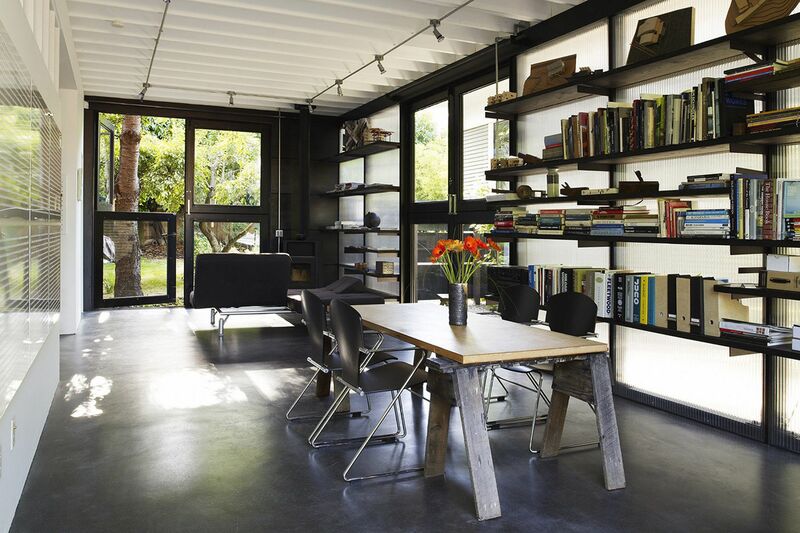 Typical dimensional lumber is exposed as framing and used for shelving. 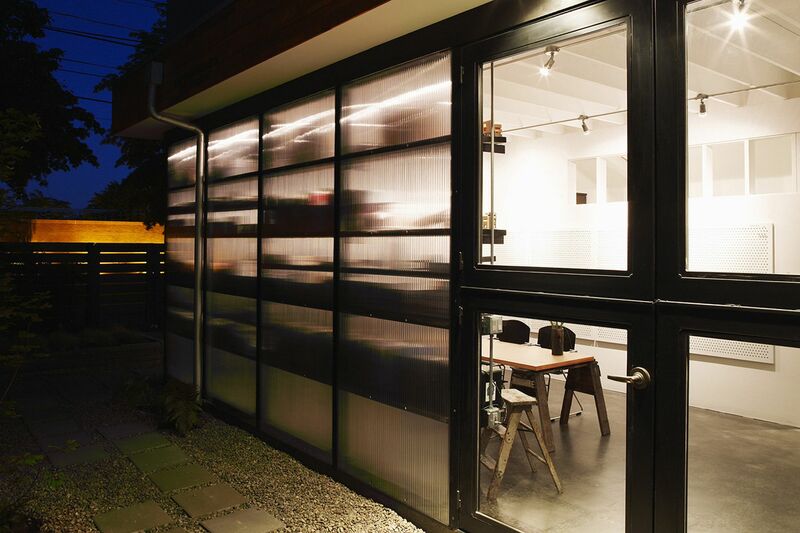 The polycarbonate wall and shelving screens the studio from the house while admitting daylight. The building opens to extend into the surrounding landscape. A green roof deck wraps around the upper floor from front to back. photo by Ben Benschneider, copyright by The Seattle Times. A bay window is hung from the roof above and houses the lavatory. 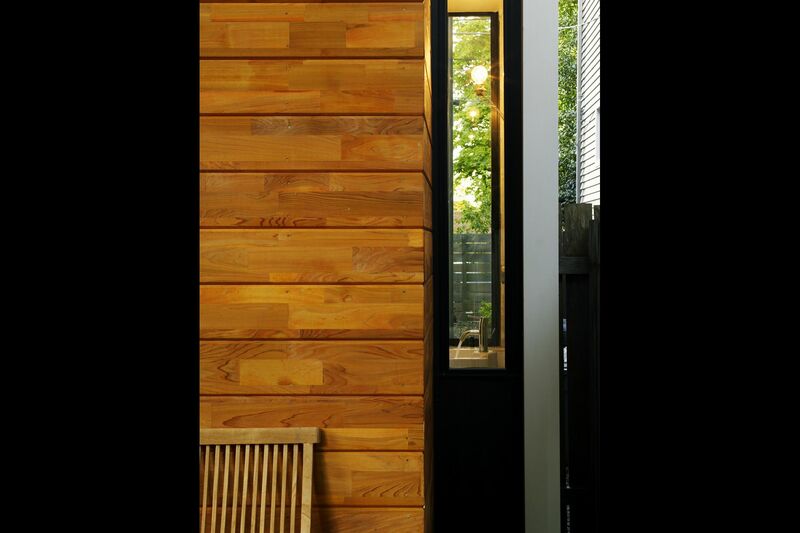 Finger-jointed cedar siding provides warmth and texture. The polycarbonate wall creates a translucent screen that abstracts the collections of books and artifacts, and acts as a lantern at night.